Source: Borrowed from the lovely Nick! I freaking LOVED it! It seriously felt like I was reading an episode of Supernatural (hence the .gif! ), which was AWESOME. I don't quite know why, but I have ALWAYS been interested in the religious aspect of the paranormal. I know some people shy away from this type of thing, but not me. I am totally on board. I thought Vincent did a stellar job with the world she's created and how the Church is the force in power to keep order against the demon scourge. I also liked how Vincent handled the sharing of this information. Instead of dumping the information on us, she did a little quizzing history session with her sister on the way to school, so we could understand just how perverse this world was. It is extremist at its very core and I could not believe how people could be okay with what they saw and what was done to punish those who disobeyed Church rules. However, in dark times people will cling to irrational beliefs and order for some semblance of safety and reassurance. I love books where I feel like I have a good grasp on the world and everything that's going on. She doesn't just tell us all of it either- she also shows us and there's plenty of action and adventure to be had! I really liked Nina's character. She is so fierce and I admire her so much. She will go to great lengths to ensure her and her sister's survival, some of which had my heart in my throat. She is the epitome of an amazing heroine. She is so real too. I love that her reactions are genuine and that she doesn't just accept everything that's thrown at her. She exhibits caution and is wary of trusting new people. When Finn enters her life, she doesn't immediately go crazy over a cute boy. Instead, she's pretty darn hesitant, even though he's saved her life a couple of times now. She needs facts and proof before she gives him her trust. I LOVED Finn! OMG. He was such a great character and there is a HUGE thing with him that seriously blew my mind. He really likes Nina and I loved how sweet their romance was. It wasn't overpowering, but definitely enough to leave this romance oriented girl satisfied. Finn is not alone though. He is with a group of other teens who are considered fugitives of the church and they were a great group. Well, Devi excluded. She got on my nerves. I do admire their dedication to one another though. They are force to be reckoned with! I don't want to say much more because there are so many twists, turns, and revelations in store for you. I am so excited to see where Vincent will take the series next- we are in for quite a ride that's for sure! Ooo, this book seems fun. Who doesn't love Supernatural? I have read one Rachel Vincent book before and I liked it. I am so excited to get my hands on this! It has been on my TBR for a long time. I am so glad that you loved so many things about it. The characters sound amazing. Thank you for your review. I am so excited for this book and now even more so knowing you loved it. I cannot wait to dive back into some Rachel Vincent YA. Awesome review! OOoh nice! I LOOOOOVE Rachel's books! I've read all of them and all of them are amazing! I expect no less from this one! And Supernatural is always a win! I've been a fangirl of that one since the pilot, much as I have with Rachel's first book too! LOL! Great review! I'm glad to see you liked this one! 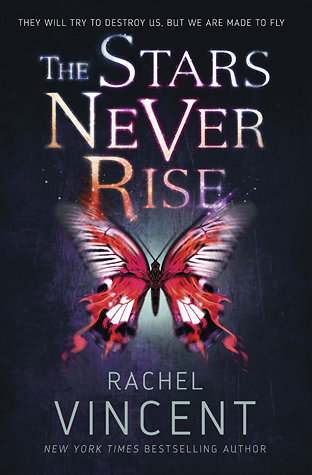 I've yet to read a book by Rachel Vincent, though I feel I'm definitely going to have to give this one a try! 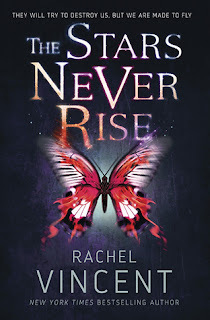 Rachel is one of my favorite authors..I can't wait for this new one :D Great review! Great review! I need to read this. I love Rachel Vincent's books! That gif! I love it! I cannot WAIT to read this, I had no idea it was out today! I'm usually really hard on my male leads so I can't wait to experience the awesomeness is Finn! Not gonna lie - this one scares me a bit. Ironically, what sounds interesting is also WHY it makes me nervous - the religious aspect of it. Still, I will probably read it because I love her books!